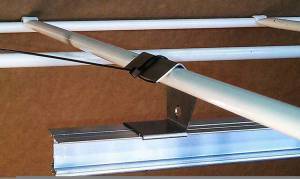 LightRail light mover Rail Hangers allow the light mover rail to hang in a tent or greenhouse. 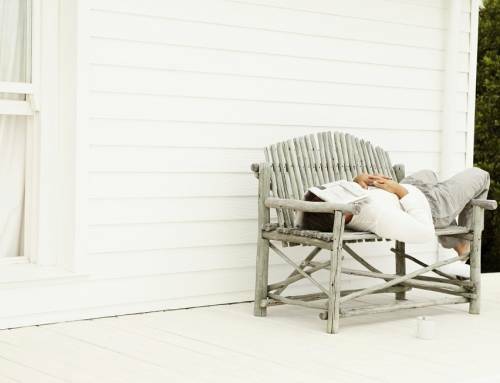 We have an exclusive from Gualala Robotics And LightRail – Greenhouse and Tent Rail Hangers. So as part of our grow equipment, these very clever Rail Hangers are the solution. Specifically, for how to set up a grow light system in a grow tent, this is smart. That’s for hanging LightRail light movers and indoor growing lights in greenhouses or grow tents. And, these greenhouse grow lamp supports can fit on any crossbar or support rod up to 1.25 inches in diameter. Another option that can fit to a variety of sizes is the Strut Channel Compatible Rail. 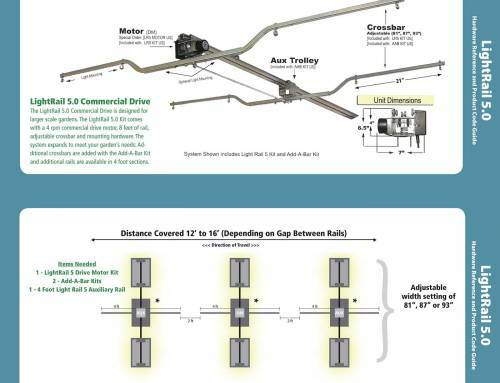 And, these custom rail options attach to Unistrut but can also attach to virtually anything. It is another possible greenhouse or container grow option, in particular. So, for overall benefits, we already know the benefits of supplemental indoor growing lights in our greenhouse. 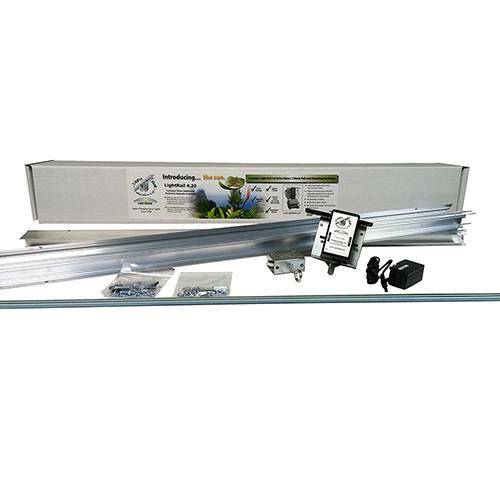 But now, we can get the added benefits of moving our grow lamp with a LightRail grow light mover. For how to set up indoor grow systems, these light mover rail hangers make it all very easy. 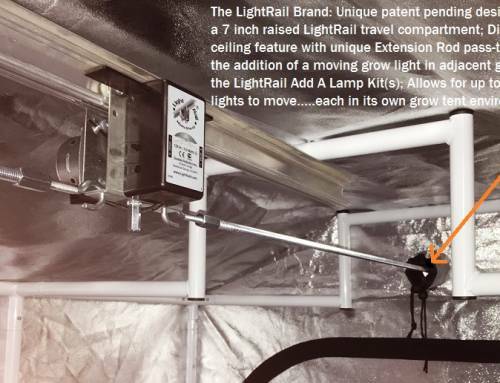 A LightRail grow light mover promotes even grow lamp distribution from all angles in our indoor grow system. We’ll also have reduced shadow patterns and better yields for our indoor grow system. And, we’ll see saved energy and money with lower grow equipment costs. So, LightRail light movers are an efficiency grow equipment product. And, they are made in the USA, 30 years strong. For our indoor grow setup, why move our indoor grow lights? Increased grow lamp coverage is the short answer. Moving one indoor grow light on a 6’6″ (2-meter) rail just a distance of up to 3 feet can increase our indoor grow light coverage considerably. Getting technical: We could be losing as much as 60% of your indoor grow light energy because static lighting lacks ability. 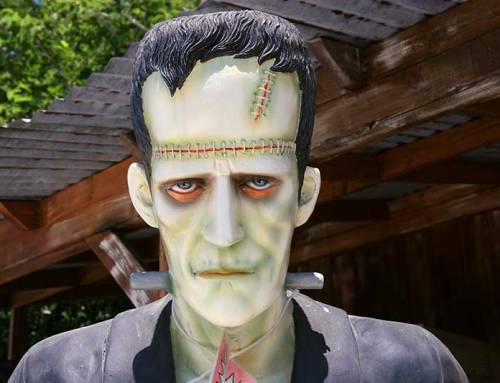 And, it lacks the grow light system ability to diversify itself. That’s done by maximizing our plant’s energy absorbing surfaces at the correct intensity and only possible with a grow light mover. And, moving our indoor plant light offers considerable flexibility in terms of the plant to lamp tolerance. That grow light system detail means less heat in for our indoor grow setup. And, that’s with a closer run for our indoor grow lights, so a better use of available PAR and ppfd numbers. That’s Inverse Square Law at work in our grow light system. 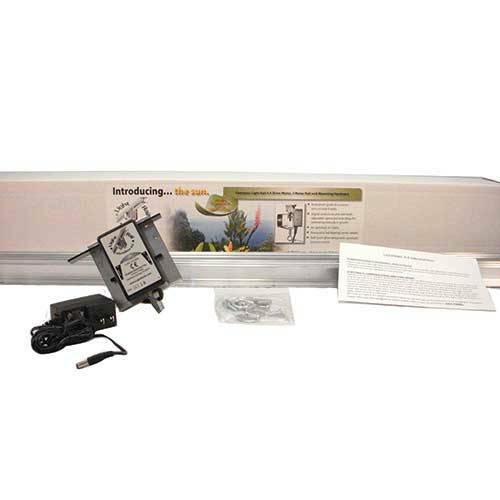 LightRail light movers provide indoor plant light intermittently and on more leaves. And, that’s during 40% of the photoperiod and at the correct grow lamp intensity. So, the indoor grow lights become supercharged and the maximum LAI (Leaf Area Index) can be achieved. It’s a two-part grow light system effect, both working together for faster growth and maximum yield. 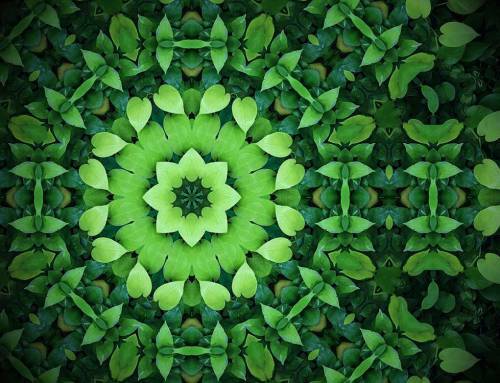 The sun moves and so should our indoor plant light. And now, all the benefits of LightRail indoor growing systems are available to the greenhouse grower and tent grower. That’s with our new to the industry, LightRail Rail Hangers for Greenhouse and Grow Tents. 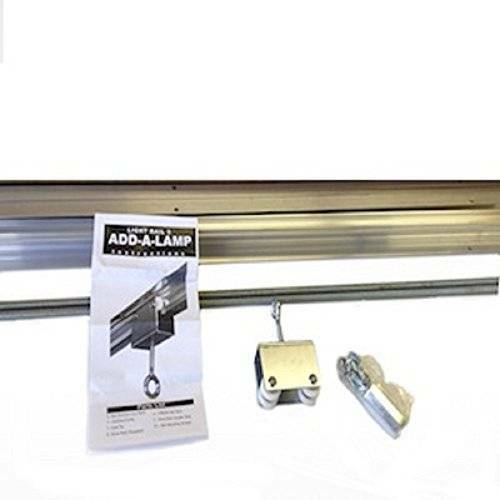 Rail Hangers for Greenhouses and Grow Tents are compatible with LightRail 3.5 Kits, LightRail 4.0 Kits and LightRail 4.20 Kits. And,. if a two-part rail is used, as come in the Kits, it is recommended to make a small wooden splint where the two halves join. So, how to do this is drill the joined rail halves onto a small piece of wood through the mounting holes and just at the seam. 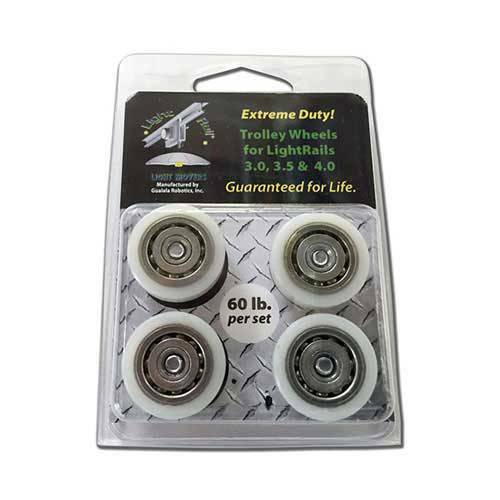 This gives the rail extra strength for being suspended in a grow tent or a greenhouse. Or, a single rail half could be used on its own as another option, so without a seam.